Low Cost Broadband for your Family! If you have a school-age child, and do not have access to broadband internet, we want to help you! 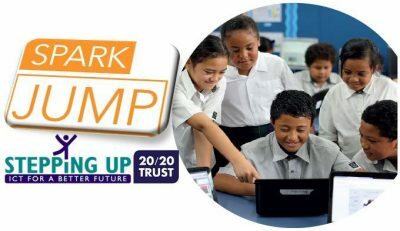 Masterton Library, in partnership with the Spark Foundation and 20/20 Trust, are offering Spark Jump modems to local families that want to get their kids online. There are no contracts or credit checks and you don’t have to get a cable installed. Just plug the modem in and it works! You start with 30 Gb of data for free – when you run out, another 30 Gb costs only $10. Use as much or as little as you want, when you want. Top up the balance exactly as you would on your phone. If you are interested, sign up to the Spark Jump course at the library where we give you your Spark Jump Modem and teach you how to use and top it up.